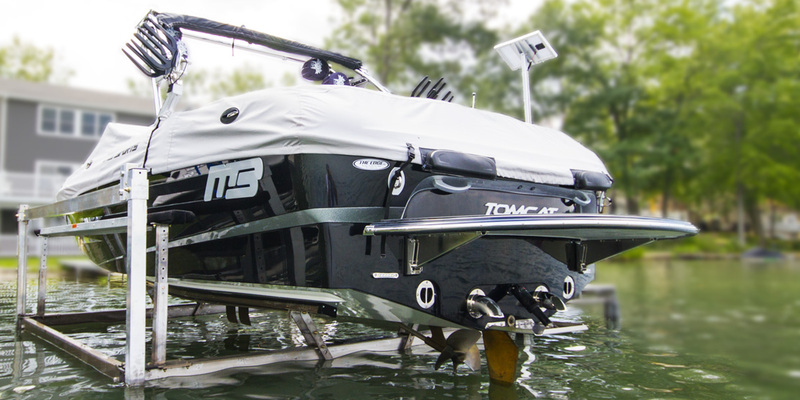 Whether you need a lift for a 22′ Bennington Pontoon, an X2 Mastercraft with tower or your new SeaDoo Jet Ski, we offer vertical and cantilever lift options up to an 8000 lb capacity. Our lifts are easy to operate and we offer a full line of accessories including two different canopy design options. 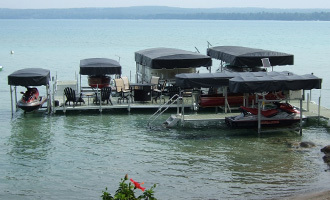 If you are looking for a quality residential or commercial free standing dock, we can help. 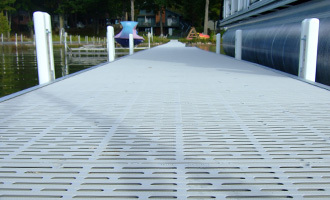 Our docks offer different decking materials allowing you to choose what is most comfortable for you to walk on. 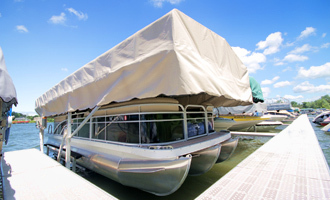 The residential dock sections come in 2′, 3′ or 4′ widths and up to 5′ wide with commercial systems. 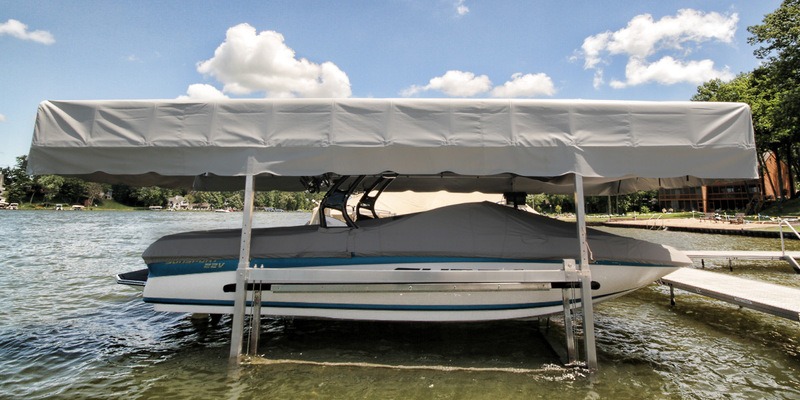 A full line of accessories in available for our lifts and docks. 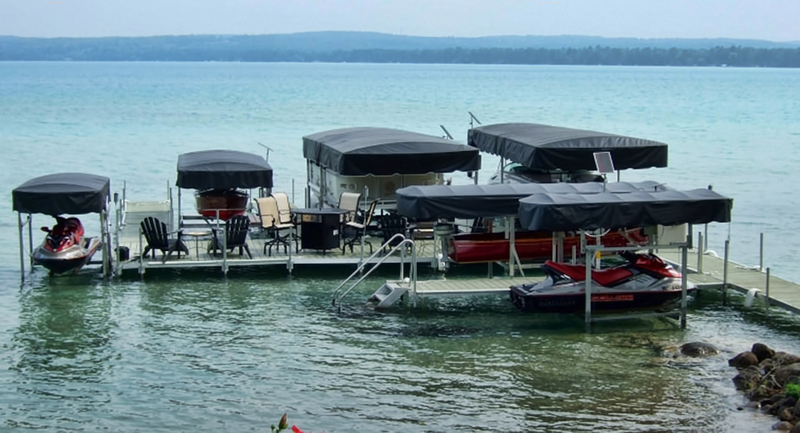 We offer canopies, guides, pontoon bunks, motors and motor stops for our lifts. Our dock line offers two support options, hardware, stairs and a bench. We also offer repair parts for our lifts and docks.